World War II naval history has been discussed and examined from almost every possible angle. One story that has never been told in detail, however, is that of the U.S. Navy's little landing craft, tank (LCT). Even though they are known for landing on the beaches at Normandy, the LCTs were more than mere transports. World War II naval history has been discussed and examined from almost every possible angle. One story that has never been told in detail, however, is that of the U.S. Navy's little landing craft, tank (LCT). Even though they are known for landing on the beaches at Normandy, the LCTs were more than mere transports. In fact, the little craft had dedicated crews and participated in nearly all forms of naval warfare. 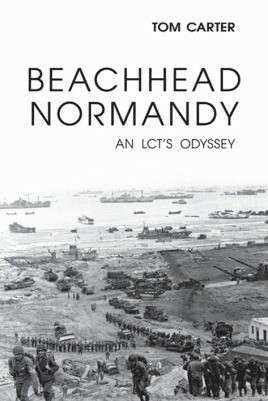 Beachhead Normandy combines the history of LCT operations with a detailed look at the LCT 614, which landed at Omaha Beach under heavy fire. Tom Carter has gathered material from the U.S. Navy's archives, the National Archives, and personal stories from several members of the 614's crew, including the ship's skipper and second officer, to give readers a clear picture of the LCT's role in one of World War II's pivotal moments. He also analyzes the role of LCTs in the Pacific theater, including the 614's participation in the occupation of China while supporting the Marines'famed First Division. Drawing on both technical analyses and personal accounts by the actual participants, including the author's father, Beachhead Normandy is a rich and varied history of the key services these ships performed during and after World War II.